This is for me, the better Archive Page. Let's see the how it looks. or you can just click my ARCHIVE PAGE in the navigation bar on top. Sort by title (ascending or descending) - by clicking the "POST TITLE" table header. Sort by date (older first or newer first) - by clicking the "POST DATE" table header. When you hover the post title a snippet of the post will display. unless you edit the script. Here's how to implement it. 3. Preview it, if it's ok then Publish. You can also style your static page. The RED CODE are the widget that you want to hide when viewing your page. To remove the tooltip/short snippet of the posts when you hover the title, use this script. To hide the the date or the label column add this CSS code. Runway models are flat chested, clothes look better on women with small breasts. Audrey Hepburn was flat chested, Grace Kelly was flat chested. Should we make fun of two of the most elegant and beautiful women in history for not aving DD cups? 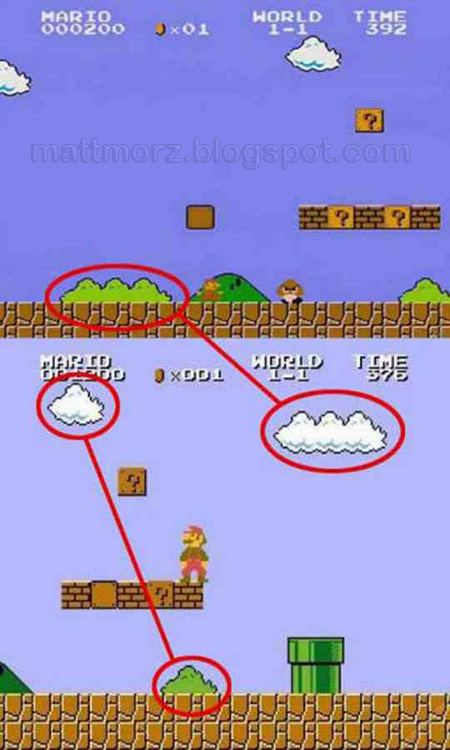 Super Mario: "Cloud" is "Grass"
Nah, here's the demo showing it. Well, I've been quite since I'm busy at school. This would be my last post in February. Post Views: - change the text with your preference.